This year’s show is 700,000 square feet of horsepower, featuring an array of vehicles from pre-production, production, exotic, classic, and concept cars. With over 700 vehicles all under one roof, there’s no better place for consumers to find their next vehicle or even place to come and dream than the 2018 Philadelphia Auto Show. Key highlights of this year’s show include an enhanced Super Cars Display, a robust Exotic Vehicles Display, both of which are both second to none in the country, as well as a variety of Hollywood cars from some of America’s favorite movies and TV shows. Four different collections of classic cars and the latest and greatest from today’s vehicle manufacturers will also be available for viewing. 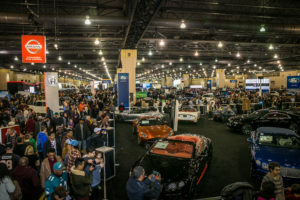 For those not in the market for a new vehicle, the Philly Auto Show still delivers a great experience for all ages with features like Camp Jeep, multiple Ride and Drive experiences and appearances by Philadelphia Eagles Safety Rodney McLeod, former US Women’s National Team soccer star Heather Mitts and hip hop artist Chill Moody. Key highlights of this year’s Philadelphia Auto Show include an enhanced Super Cars Display and robust Exotic Vehicles Display, which are both second to none in the country. Four different collections of classic cars and the latest and greatest from today’s vehicle manufacturers will also be available for viewing. As one of the nation’s largest auto shows, the Philadelphia Auto Show annually welcomes approximately 250,000 attendees and has a proven track record of influence on consumers in the region. Every year, an average of 90 percent of attendees who are in the market for a new vehicle report that their purchasing decision is influenced by the show, which translates to about $3.5 billion in sales. For consumers who want to catch a glimpse of vehicles that will soon be available in dealerships across the region, the Philadelphia Auto Show is the perfect place to view the latest pre-production models. Examples include the 2019 Ram 1500, 2019 Ford Ranger, 2019 Subaru Ascent, 2019 Volvo XC40, 2018 Jaguar E-PACE and 2018 Jeep Wrangler. The Super Cars and Exotic Vehicles displays at this year’s event are the largest collection of their kind in the country and the biggest-ever for the Philadelphia Auto Show. Courtesy of C.F. Charities, the Super Cars display will host a Bugatti Chiron, Bugatti Veyron, Ford GT and more. The Exotic Vehicles display, courtesy of Algar Ferrari, F.C. Kerbeck and McLaren Philadelphia, will feature dozens of the world’s most elegant vehicles. Samples include the latest editions of the Aston Martin DB11, Ferrari 488 Spider, McLaren 720S and Rolls-Royce Phantom, to name a few. 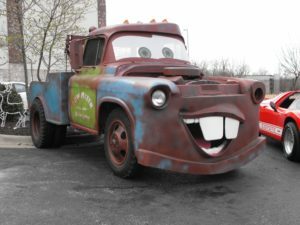 Returning for its second appearance, the Hollywood Cars display will again offer guests a glimpse of vehicles from some of the most iconic movies and television series ever made. 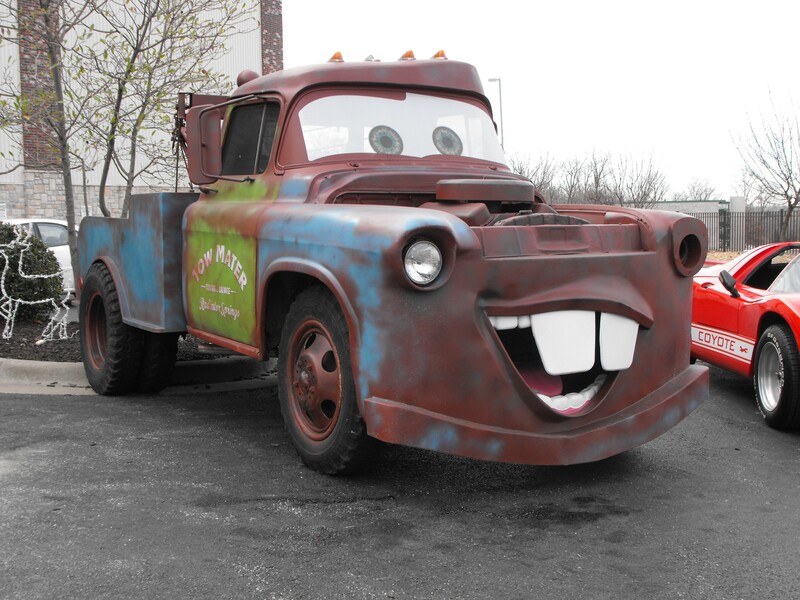 Examples include the Mystery Machine from “Scooby Doo,” Tow Mater, K.I.T.T. from “Knight Rider,” the “A-Team” Van and cars from the “Fast and the Furious” series. This display will be located on the Broad Street end of the Main Exhibit Hall. Attendees are also invited to visit with some of their favorite vehicles of yesteryear at one of the largest classic automobile displays in the country. Four distinct collections of classic cars will be on display courtesy of the Simeone Foundation Automotive Museum, Antique Automobile Club of America, Vintage Automobile Museum of New Jersey and the Classic Auto Mall. Examples include a 1933 Auburn V12 12-165 Speedster, 1938 Jaguar SS100 3.5L, 1953 Chevrolet Corvette, 1956 Mercedes-Benz 300SL Gull-Wing Coupe, 1969 Pontiac GTO Judge and 1970 Plymouth Superbird. Camp Jeep will return to the Philadelphia Auto Show for its sixth consecutive appearance and feature an interactive adventure zone where professional 4×4 drivers allow riders to experience a Jeep’s on- and off-road capabilities inside the Pennsylvania Convention Center. Featured vehicles will include the Cherokee Trailhawk, all-new Wrangler Unlimited, Grand Cherokee Trailhawk, Renegade Trailhawk and Compass. Guests will also get the opportunity to find what moves them at the 2018 Ride and Drive Zone. Located just outside the DUB display on the street level of the Convention Center, the Zone will offer test drives from Kia, BMW, Volkswagen, Toyota and Mazda. 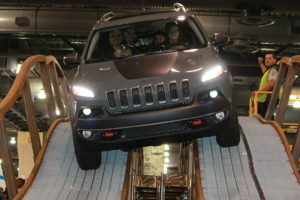 Details for each vehicle manufacturer vary and should be monitored at phillyautoshow.com. Hosted by DUB magazine, the premier publication of the urban automotive lifestyle, this year’s DUB Live exhibit in Hall F will include 125,000 square feet of some of the best tricked-out rides, bikes and the latest in after-market excitement. Sponsored by Xfinity the Auto Show will host a Deaf & Hard of Hearing Community Access Day on Jan. 27 from 9am – 9pm. American Sign Language (ASL) interpreters will be available during that time. The ADAGP donates $2 from every Auto Show ticket sold to its Auto Dealers CARing for Kids Foundation. The Foundation uses the funds for programs benefitting area children like its Driving Away the Cold effort, which provides brand-new winter coats to kids who need them most. The Black Tie Tailgate, presented by the Auto Dealers CARing for Kids Foundation, offers an exclusive “behind the velvet ropes” preview of the 2018 Philadelphia Auto Show. Attendees will enjoy a special look at this year’s display floor as they dine on delicious cuisine and dance to the soulful sounds of Jellyroll—all while supporting a great cause. All proceeds from the event will benefit the Department of Nursing at CHOP. This year’s Black Tie Tailgate will take place on Friday, Jan. 26. Saturdays:9 a.m. to 10 p.m. Pick up weekday discount coupons at participating local new car and truck-franchised dealerships. 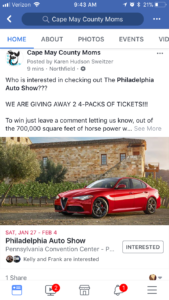 Coupons may be redeemed at the box office at the Pennsylvania Convention Center for a $3 discount on weekday admission to the Auto Show. A partial list of participating dealers is available at phillyautoshow.com. Weekday Philadelphia Auto Show tickets are available through SEPTA at the price of $11 for adult admission and $7 for child/senior admission. The Philadelphia Auto Show welcomes back State Farm as its 2018 premier sponsor. The Auto Dealers Association of Greater Philadelphia (ADAGP), established in 1904, is the oldest association of its kind in the nation. Comprised of 190 franchised new car and truck dealers throughout the five-county Philadelphia area, the Association owns and produces the Philadelphia Auto Show. TheAuto Dealers CARing for Kids Foundation is the philanthropic arm of the ADAGP. It is a501(c)(3) public charity that aims to enhance and enrich the lives of children in the communities where its dealer members work and live. Since its incorporation in 2003, the Foundation has contributed more than $10.9 million to area children’s charities and organizations. **Editor’s Note – Information valid as of print date. Please check phillyautoshow.com for the latest updates on featured vehicles, special events and more.